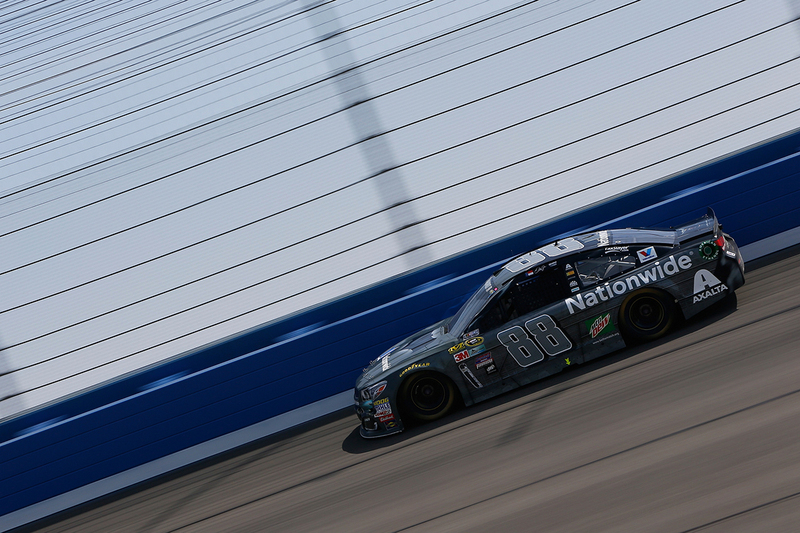 2015 marked the start of a partnership between Nationwide, a mutual insurance company founded in 1926, and NASCAR’s most popular driver, Dale Earnhardt Jr. 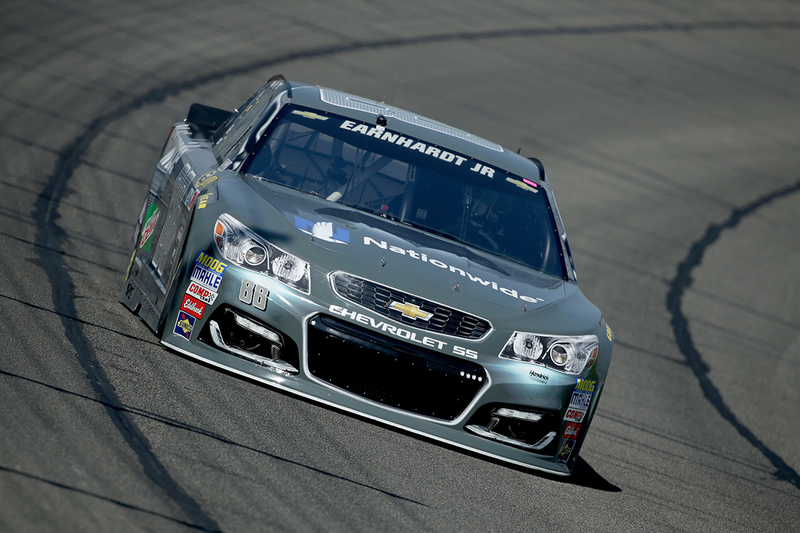 In the 2016 season, Nationwide’s partnership shifted to a primary role with the No. 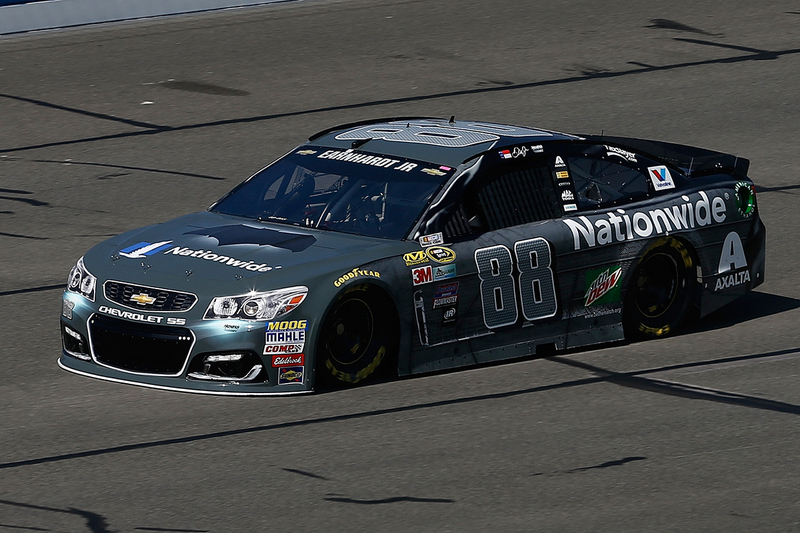 88 Hendrick Motorsports entry. 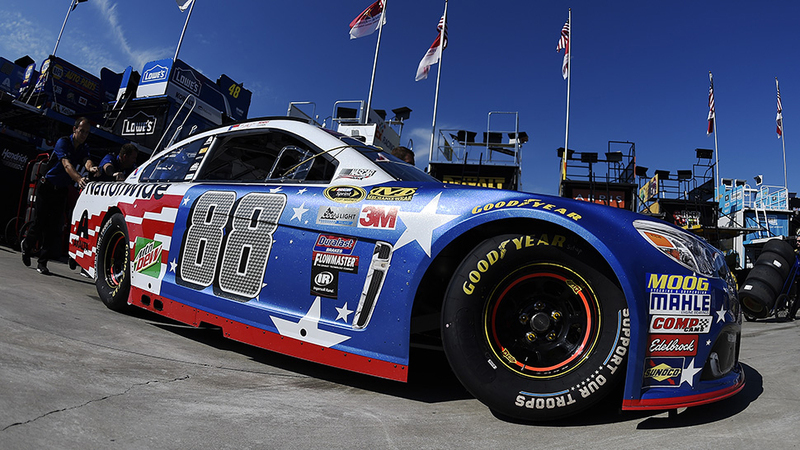 Special paint scheme liveries for that NASCAR Cup Series season included Batman v Superman: Dawn of Justice which ran at Auto Club Speedway in Fontana, California and Nationwide Patriotic honoring Lance Corporal Aaron Reed which made its appearance at the Charlotte Motor Speedway in the Coca-Cola 600. 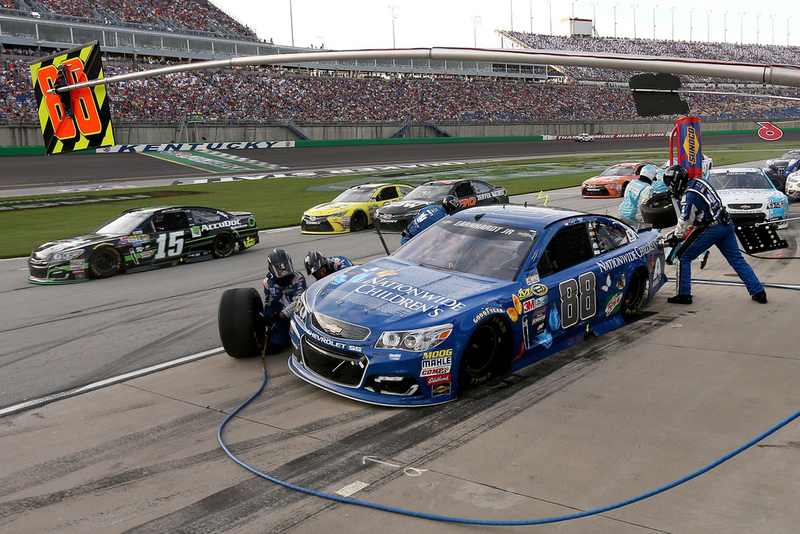 Also making its first appearance was the Nationwide Children’s Hospital livery which showcased both the hospital and program’s charitable donors. 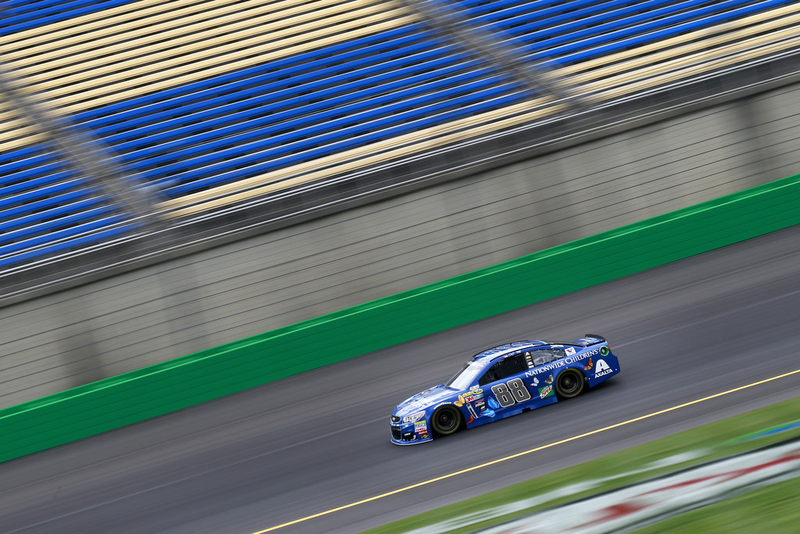 The special paint scheme ran under the lights at the Kentucky Speedway in Sparta, KY.
Notebook: This design is inspired by the current generation with a digital style flag. It's position on the car signifies that it's moving with the wind, as if it's on a pole. 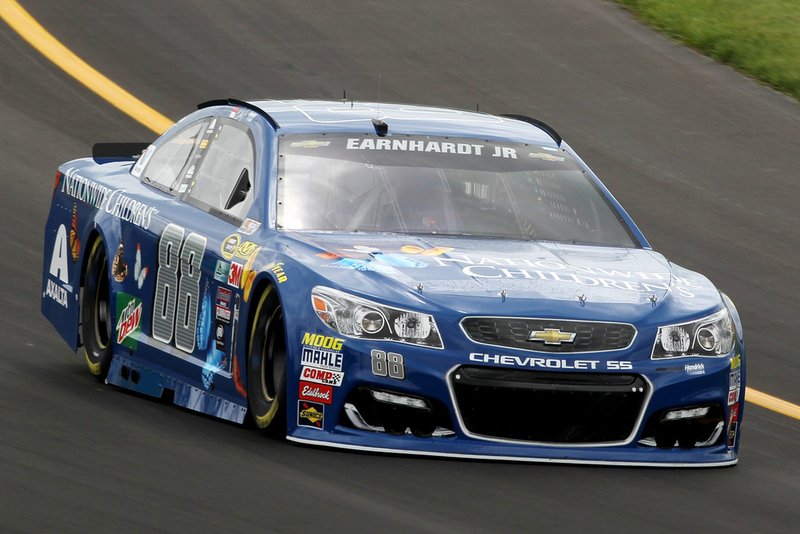 It has silver numbers on a rich reflective blue with blue numbers on the roof for variation and contrast. The randomly placed and sized stars (skewed 15° to match number slant) add to the non-traditional look of the flag design. The white is a deep pearl so it really jumps from the dark track surface. 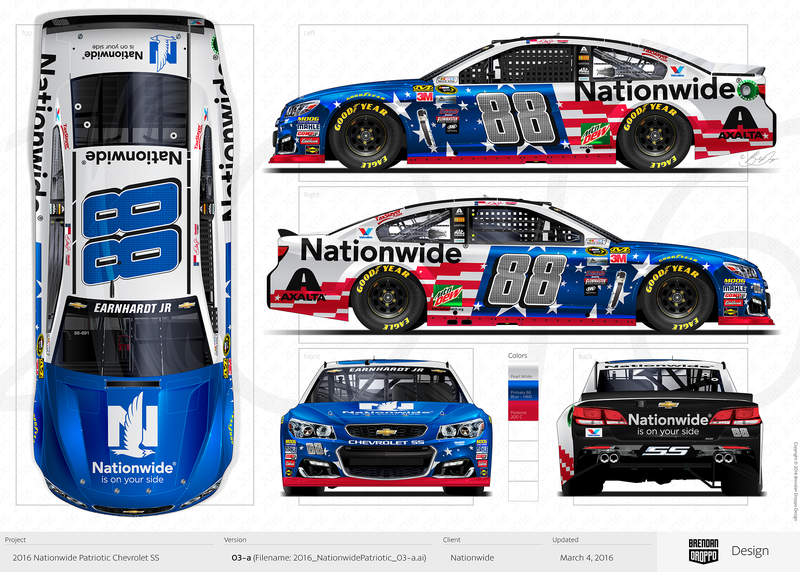 More: This Nationwide Patriotic paint scheme featured on the No. 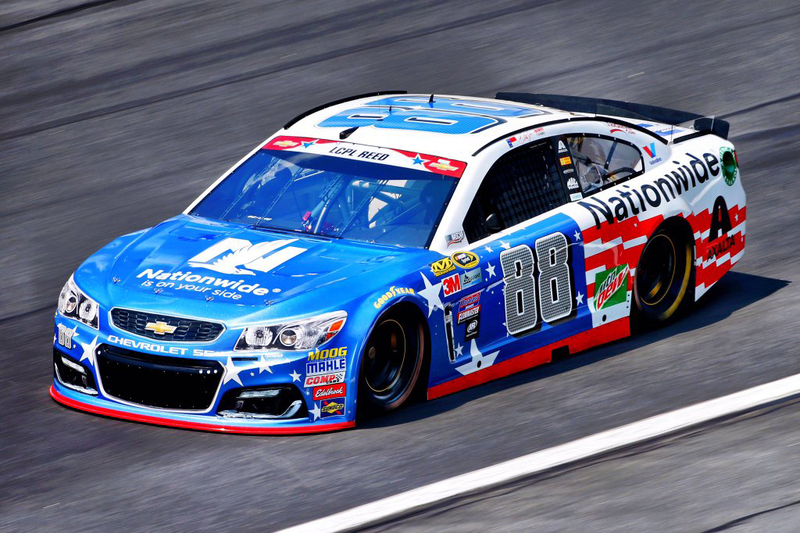 88 Nationwide Chevy SS raced on May 29th at Charlotte Motor Speedway in the Coca-Cola 600. 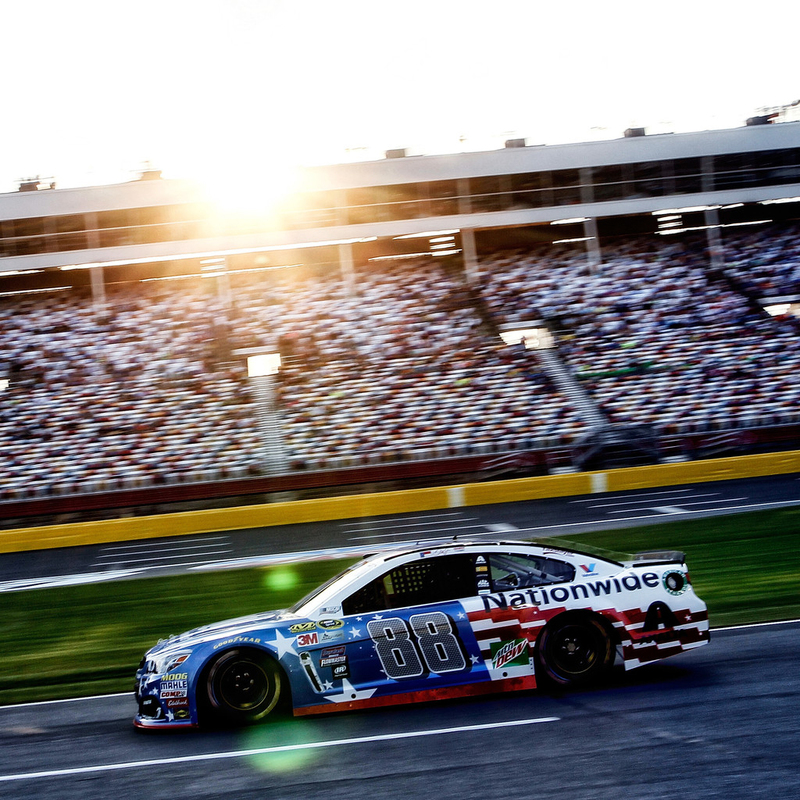 This race is part of NASCAR’s “An American Salute” campaign – honoring members of the United States Armed Forces. Notebook: This livery features a Midnight Blue base color (requisite) with butterflies from the Nationwide Children's Hospital logo angled on the doors and side panels throughout. The roof number is the color of the primary butterfly in the primary logo as well. Ultra glossy, brighter Midnight Blue butterflies are placed randomly throughout the design also. About the program: As the primary sponsor of the No. 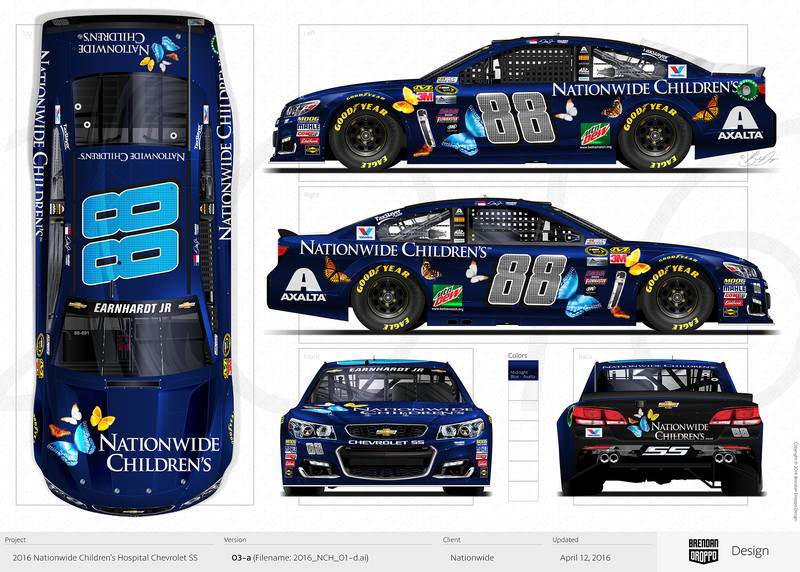 88 Chevrolet driven by Dale Earnhardt Jr. in the NASCAR Sprint Cup Series, Nationwide has generously donated their primary paint scheme for the July 9 th Quaker State 400 to Nationwide Children’s Hospital. The goal of this significant donation is to raise visibility and funds for the hospital’s mission of providing lifesaving pediatric care and research to help kids everywhere. 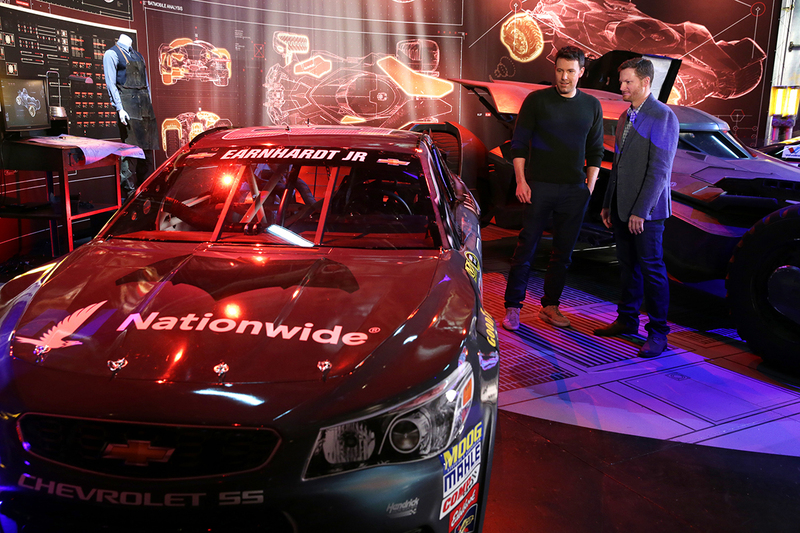 Notebook: Warner Bros. Consumer Products joined forces with Hendrick Motorsports' No. 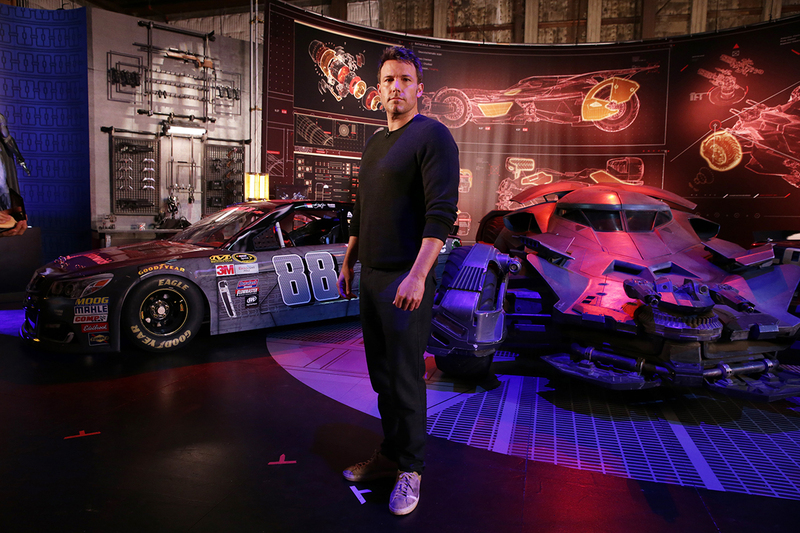 48 and 88 to promote the film Batman v Superman: Dawn of Justice. Both the Superman (No. 48) and Batman (No. 88) paint schemes relate to the look and feel of the superhero suits used in the film [See No. 48 livery in Lowe's Case Studies]. The glow around the front headlights represent the colored eyes of both superheroes (Superman: red, Batman: teal) and both paint schemes also share the same cape graphic with the appropriate color. 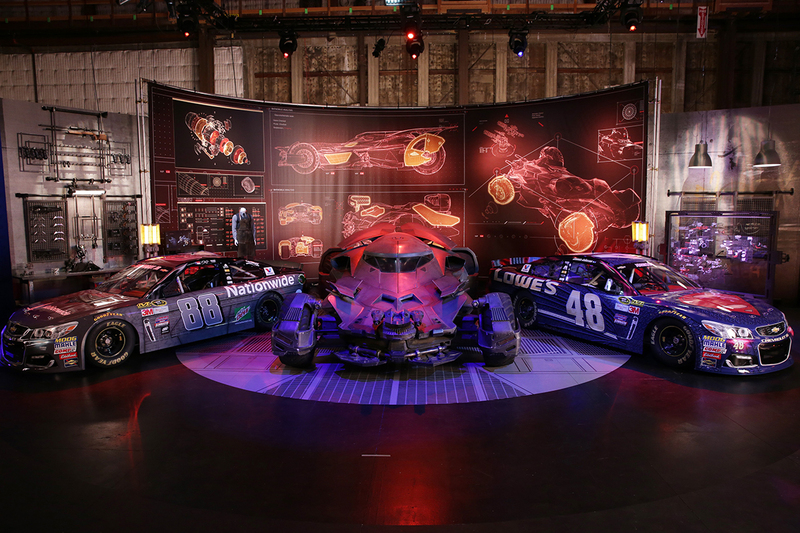 The main idea from a design perspective is to have both paint schemes represent the primary superheroes of the film—bringing the battle from the screen to the track.